This six days Kerala tour package from Mumbai will make you see the countless charms of this state. You must be wondering why Kerala is referred as God’s own country. For knowing the answer, you have to visit this pretty place in the South of India. The moment you will step in Kerala your question will be answered on seeing the sights of misty mountains, tea gardens and heart-shaped lakes. The blend of rhythm, grace and magic of Kathakali Dance Performance. The sight of exciting wildlife in the Eravikulam National Park. A fun-filled boat ride around the Lake Periyar. Enjoy Kerala’s cuisine while you stay at houseboat. Kerala trip from Mumbai will start in the morning between 7 to 9 am. You will be received from Mumbai’s hotel or railway station. From here, you will be transferred to Mumbai’s airport. Board a flight to Cochin from here. On reaching Cochin’s airport meet our representative who would welcome you in Kerala with a smile and holiding a placard in your name. From here, you will be transferred to the hotel. In the afternoon, head towards a city tour of Cochin. Explore the Willingdon Island, Fort Kochi, Marine Drive, Bolgatty Palace, Mattancherry Palace, Paradesi Synagogue and Chinese Fishing Nets. 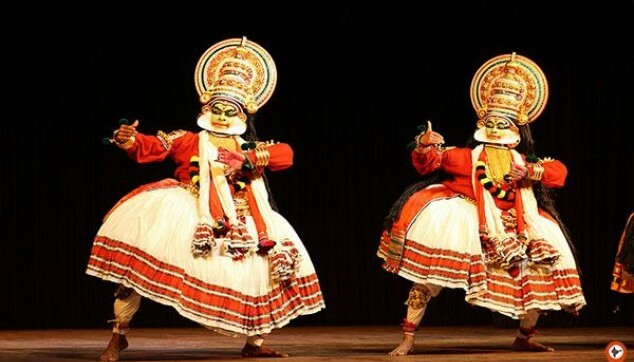 In the evening, enjoy the blend of music, grace and rhythm at Kathakali Dance show. Enjoy an overnight stay at the hotel in Cochin. Post breakfast, drive to Munnar, a captivating hill station in Kerala. On reaching the city, check in at the hotel. Enjoy the rest of the day at leisure. This will be followed by a wonderful night in your hotel room situated amidst the beautiful surroundings of Munnar. On Day 3 of Kerala tour from Mumbai, have a warm breakfast at the hotel. Post breakfast, proceed for a sightseeing tour of Munnar. 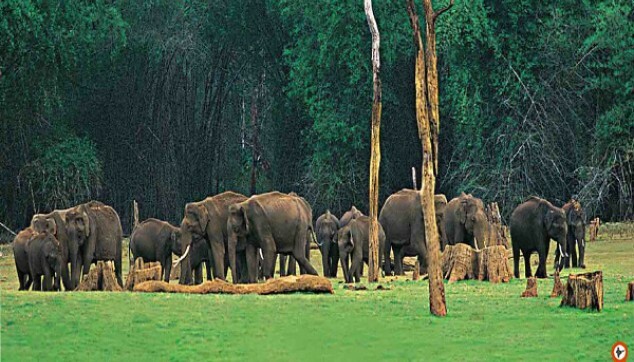 First head to Eravikulam National Park, popular wildlife sanctuary in the lap of Nilgris. The next attraction is Munnar’s tea museum. Here, smell the aroma of tea while learning about the wide varieties of Kerala’s tea. Also, cover other attractions such as Mettupetty Dam and Echo Point. Have an evening spent at leisure followed by an overnight stay at the hotel in Munnar. Post this, have an early breakfast at the hotel. Drive towards Thekkady, the lord of jungles, by an air-conditioned car. Check in at the hotel. In the afternoon, head to the Periyar National Park taking you to the virtual delights of Kerala’s exciting wildlife. Enjoy an interesting boat ride at Lake Periyar. Spend the evening at leisure followed by an overnight stay at the hotel. After breakfast, head to Alleppey for exploring the backwaters of Kerala. Kerala backwaters are one of the prime reasons for which India is famous amongst tourists all around the world. After reaching Alleppey through an air-conditioned car, check in at the houseboat. Have fun exploring the backwaters of Kerala encapsulated by the lush green landscapes. 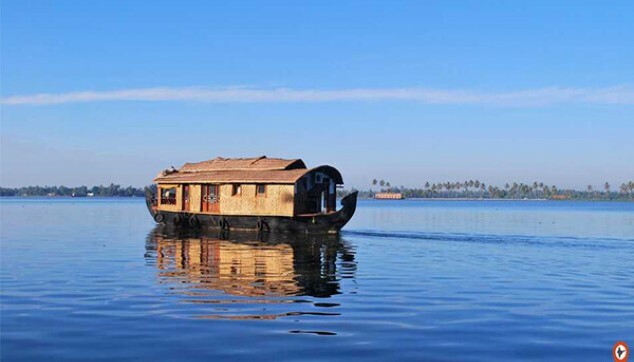 Enjoy traditional Kerala cuisine while having on-board meals on the houseboat. This will be followed by a beautiful stay at the houseboat in Alleppey. Capture the memory of a beautiful sunrise and have the pleasure of enjoying the breakfast at houseboat. From here, you will be transferred to the airport in Cochin. Proceed with your onward flight. All Transfers & Sightseeing by Private air conditioned Vehicle. Boat ride on Lake Periyar.